Do the dark days and long nights of winter make you want to stay in your comfortable bed all day and night long? Are you unproductive and unmotivated at work? Winter blues are no joke and they can seriously affect your life and even health. It’s crucial to eliminate negative self-talk that is considered a number one trigger of winter blues. Luckily, there are foods and dietary supplements that will help you fight winter blues and boost your mood and productivity. In winter, we aren’t getting enough vitamin D due to shorter days, which is why it’s important to maintain vitamin D balance. Although there are foods that are rich in this essential vitamin, in most cases, it’s hard to avoid vitamin D deficiency without supplementation. Include foods high in vitamin D in your diets such as mushrooms, fortified almond milk, and soy milk, eggs, tofu, yogurt, cheese, etc. Be sure to check if you have vitamin D deficiency and talk to your doctor about supplementation in order to combat winter blues. Some vitamin D supplements provide zero results as they either don’t contain the vitamin or contain little amounts of it. Worries and stress exhaust your body and worsen depression and anxiety symptoms. Strawberries, raspberries, and blueberries aid in preventing the cortisol release, which is a hormone that the adrenal gland produces. When stress hits, cortisol moves toward the hippocampus, the main part of the brain which is responsible for providing emotional responses, storing memories, and for navigation. Packed with antioxidants, berries fight stress and improve mood. The antioxidants in berries help to fight chronic inflammation that often affects mental health and results in digestive issues, depression, and panic attacks. Moreover, berries reduce bad cholesterol levels, control blood sugar, and protect you against cancer. Due to their rich nutrient content, berries keep your arteries healthy and reduce the likelihood of developing cancer. Multiple studies have done to show the effect folic acid has on the brain. First of all, it helps to prevent mood swings and tame negative thinking. Moreover, your body uses folic acid to produce serotonin, which is a neurotransmitter that negatively impacts your mood. You can improve your consumption of folic acid by eating oatmeal, leafy greens, fortified cereals, oranges, sunflower seeds, soybeans, black-eyed peas, and lentils. Supplementation is rarely required if you eat a well-balanced diet, yet seeing your doctor find out whether or not you have a folic acid deficiency is essential. Nutrition is incredibly important to choose your foods and supplements wisely. If you feel down, have weak immunity, and low energy levels, chances are you’re deficient in certain nutrients. Taking a multivitamin is an excellent way to supply your body with most of the essential vitamins and ward off diseases and winter blues. Besides these benefits, a multivitamin promotes healthy nail and hair grow, increases your energy levels, maintains eye health, decreases cancer risk, and promotes healthy aging. 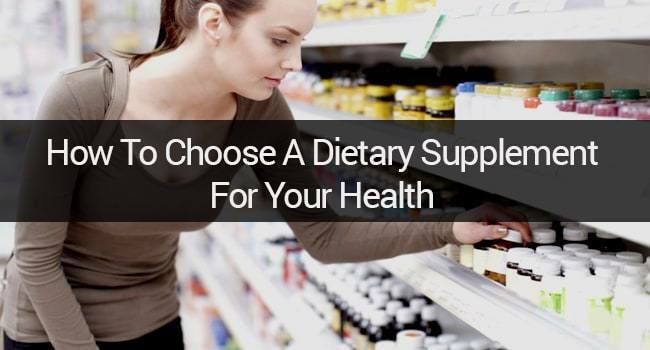 The problem is, there are so many multivitamin supplements available on the market today that it can be really difficult to choose the most effective ones for you. If you have trouble buying a multivitamin, learn more here. Avoid purchasing cheap a multivitamin that contains 3 to 5 vitamins and/or minerals. Just because it’s called multivitamin doesn’t mean it’s actually what you’re looking for. Just like folic acid, vitamin B12 deficiency in your blood is linked to mood swings, panic attacks, and depression. When ignored, vitamin B12 deficiency can result in pale skin, chronic fatigue, fast heart rate, anemia, mouth pain, shortness of breath, diarrhea, vomiting, and nausea. There are many ways to add vitamin B12 to your meal plan. Some of the biggest food sources of it are wild eggs, salmon, cottage cheese, milk, yogurt, fortified cereals, and others. Chocolate lovers feast. The next time you experience winter blues, enjoy a piece of dark chocolate. This kind of chocolate contains a powerful antioxidant called polyphenol that helps to ease the symptoms of anxiety and panic attacks. Make sure your dark chocolate has the highest cocoa content possible, though. Not only do dark chocolate with low cocoa content negatively affect our health, but it can destroy your mood rather than lifting it up. 100 grams of quality dark chocolate contains 228 mg of magnesium, around 8 grams of protein, 12 grams of iron, 715 mg of potassium, and 3 mg of zinc. Dark chocolate helps to combat free radicals, preventing premature aging, chronic inflammation, heart disease, and cancer. Banana is one of the richest sources of tryptophan, the amino acid that offers calming effects. Moreover, potassium and the carbs from natural sugars in bananas aid in fueling the brain. Bananas are also loaded with magnesium that eases anxiety and improves sleep – two major symptoms of the seasonal mood swings and depression. If you’re feeling down, head to your kitchen, grab your blender and make a yummy banana smoothie. One large banana will supply your body with 9% of the recommended daily intake of magnesium, 25% of vitamin B6, 19% of vitamin C, 2% of iron, and 1% of vitamin A, making it a healthy breakfast choice during the cold winter months. Eating banana can also help you lose weight. During the cold months, people tend to fight not only with winter blues but with extra pounds as well. Banana helps to fight sugar cravings, reducing your calorie intake. Try these 7 foods and dietary supplements to boost your mood and your overall health. When your body is deficient in certain nutrients, it starts to suffer, triggering a host of diseases and conditions, including seasonal depression. You can prevent it, though, by balancing your nutrition. Before you take any supplements, ensure you consult your doctor. Nowadays supplements cost money, including fake supplements. Choose smartly and don’t eat too much of nutrient that you’re not deficient in.